Creating this tea took a lot of time and experimentation. I know many women with fibromyalgia, both personally and through the business. That particular diagnosis aside, I know even more people who experience chronic pain. Due to my own issues with nerve pain and damage, it is something I understand a bit too well, and I wanted to come up with a non-narcotic option. The primary complicating factor is that I am careful about what herbs I choose to work with for the teas in our stores. I try to stick with ones that do not require supervision or absolute adherence to directions. This removed a few of the “bigger” guns for pain, because I refuse to blend a tea that you could, with ease, accidentally kill yourself. I knew when I started working on it that it was going to take time to come up with the appropriate combination of herbs, in the right ratios, to create something that would help with heavier-duty pain. However, given the things I hate about narcotics, and the things I hate even more about the crossover drugs for seizures or psychological use or… that can also be used for certain types of pain… I thought that the work was well worth it. ‘Something for the Pain’ is the end result of that work. For a long time it was the only thing that took the edge off when the pain was bad enough that I couldn’t move or breathe or think. It didn’t make me pain-free, but it did enough that I could do something other than be a person-shaped vibrating patch of pain. On my better days it helped to give me something more closely resembling a normal life than I had seen in years and years. I am not the only one. This is one of our most popular teas, and we get consistent feedback on it, both ‘actual’ feedback and personal messages thanking us for its existence. We have a companion tea for it, now. Depending on a number of different factors, ranging from personal biochemistry to activity level to how hard you push yourself to whether you additionally suffer from insomnia or chronic fatigue or…. this tea can make you tired. Nothing compared to the level that even a low dose of most narcotics will produce, but depending on the aforementioned factors, it can be aggravating. ‘Achievement Unlocked: Still Standing‘ was created to act as a tea to use when you cannot deal with the chance of being drowsy. ‘Something for the Pain’ is, unfortunately, neither pregnancy nor nursing safe. 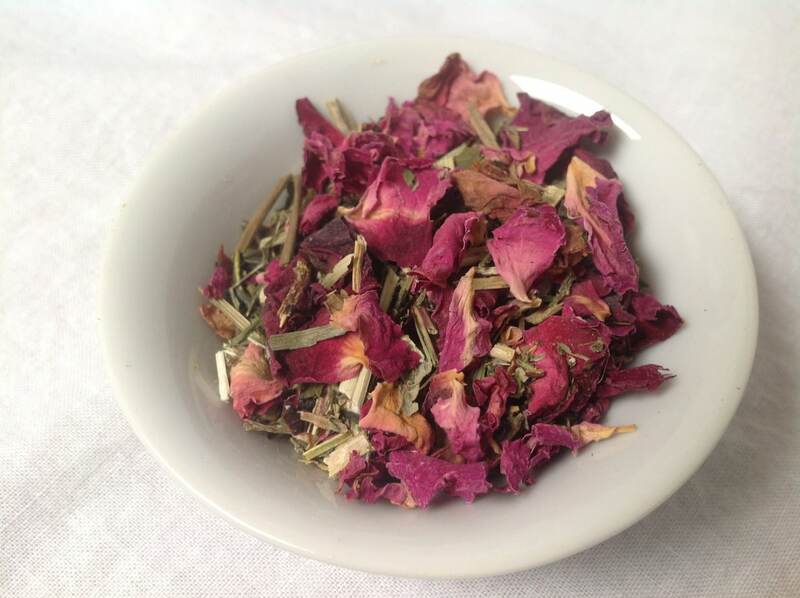 Additionally, due to the problems it was blended to deal with, it is a tea where I would like to see a medication list, so that I can make sure that the tea and any pharmaceutical medications you take will play well. 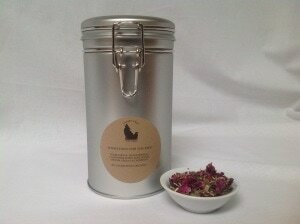 ‘Something for the Pain’ contains Meadowsweet and California Poppy for pain management, Rosehips and Rose Petals for antioxidant support and stress relief, and Sencha Green Tea as a catalyst. This entry was posted in Medicinal Teas and tagged Chronic Pain, Desert Sage Natural, Fibromyalgia Tea, Music Tea, Organic California Poppy, Organic High Mountain Green Tea, Organic Meadowsweet, Organic Rose Petals, Organic Rosehips, Pain Tea, Tea for Fibro, Tea for Pain by DesertSage. Bookmark the permalink. In all my orders from Kei-Hawk I have never been disappointed. Her customer services goes beyond my expectations and the products are always high grade and exceptional. This new order of “Something for the Pain” was for tooth pain and it significantly helped decrease the pain. I also use this pain tea for my cluster headaches and have found the anxiousness and uptightness I get from the pain drops in intensity and calmness and relaxation increases. I would also like to add, the special extras in my order was extremely thoughtful and kind of her to include. This is a staple in my house. I keep it as a last resort and it never fails me. I work with my hands and when I can’t work anymore from the pain, I make this tea. I have pain that doctors can’t diagnose and THIS TEA WORKS! THANK YOU!! Excellent products, customer service, and delivery! 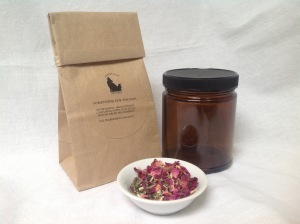 I have actually already ordered my second set of tea products from Kei-Hawk! My order consist of “Something for the Pain” and from my experience with using the tea it does reduce pain considerably. 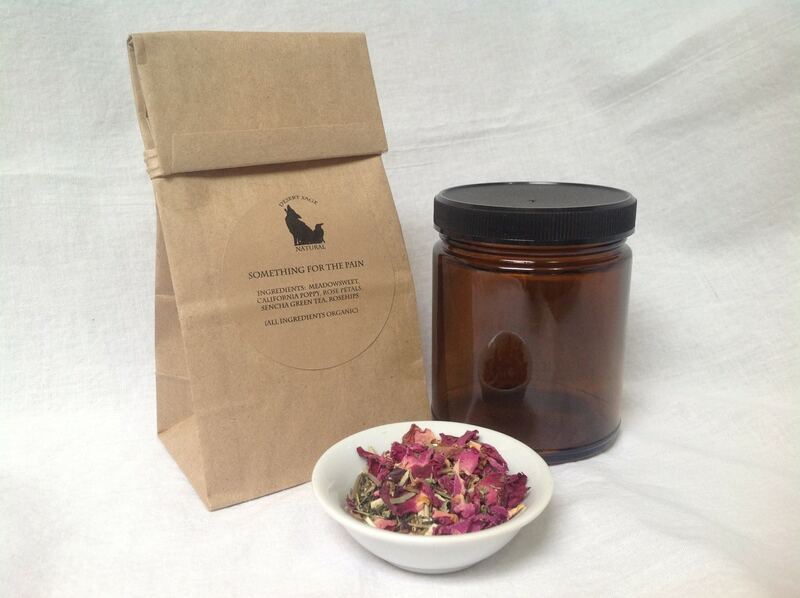 There is nothing that isn’t wonderful about Desert Sage Natural tea. I bought a canister of the “Something for the Pain” as I can’t seem to live without it. It works. I also bought a jar of “River to Book” in the SereniTea series. – delicious and it really helps me keep my focus while helping me calm down. I also bought a bag of “Dark City Mint” which is now my favorite tea of all time. It tastes like a York Peppermint Patty in tea form – SO DELICIOUS. I also got a bag of the Migraine Mitigator which really helps if I drink it as I feel the headache starting. I adore the owner, I adore the tea – this is the only place I get my tea now. You can’t go wrong with any of it. Wow! This sampler contained Something for the Pain tea. I have Fibromyalgia and chronic fatigue. It arrived on laundry day and I had pain at the sides of my chest/ribs, as well as back pain just below my waist from sorting and packing up my laundry. I made a cup of Something for the Pain and drank half of it right down, sat for 10 minutes and realized, the pain has gone from a seven to a one just in these 10 minutes. I love the clever and descriptive names they have given to these teas. I’m so happy to have pain relief without side effects. My stomach hates NSAID pain relievers. Thank you, Desert Sage Natural. I don’t know what I would do without this tea at the moment. I have been having severe pain in my joints and in my back and I drink this throughout the day to help really relax my muscles and it SERIOUSLY works on my join pain. I don’t completely understand how it works as well as it does, but it DOES. If you have joint pain, back pain, headaches, etc this will help you. I am amazed at how effective it is. It’s just incredible. I received this one day quicker than expected! I tried it the day I got it and it helped take the edge of the pain. I haven’t tried this one yet but as a chronic pain sufferer anything that can give me some more relief is worth a go. Do you offer a combination listing for this one and the AU: Still Standing? I can’t wait to send this link around to my family as a suggestion for a christmas gift. This is also an excellent idea. Also, I will look you up on Twitter. An accidental house cleaning project sort of consumed most of my time for a few days, so I’d been away.